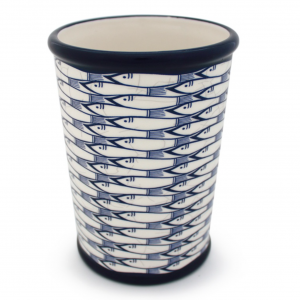 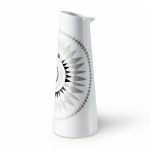 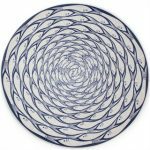 The utensil holder/vase features an eye-catching repeat design of sardines, perfect for interiors with a seaside/coastal theme. 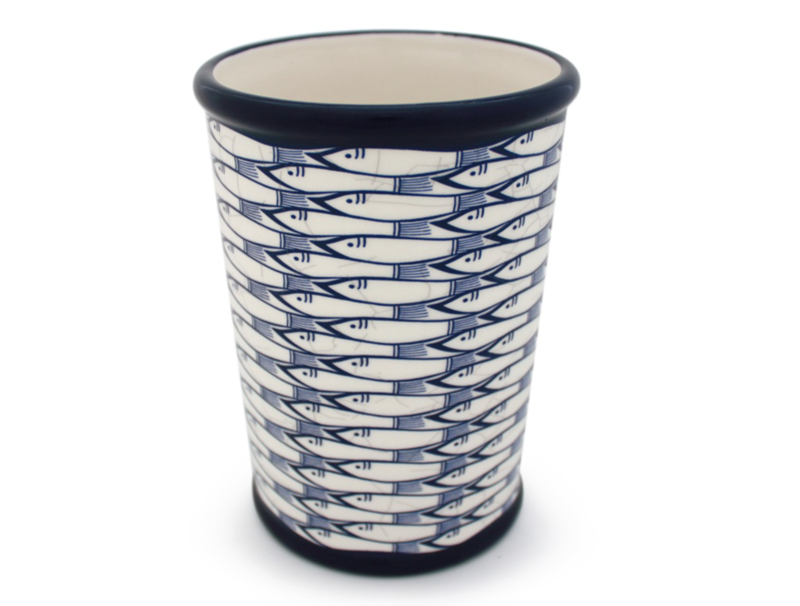 The utensil holder/vase features an eye-catching repeat design of sardines, perfect for interiors with a seaside/coastal theme. 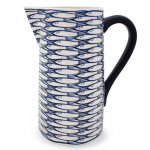 The sea themed vessel is the perfect storage solution for containing stray kitchen utensils or alternatively provides the ideal display devise for arranging beautiful flowers.